In 2014, simple is in - in a big way. 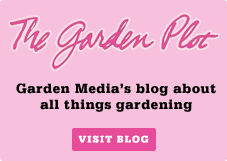 From website design to garden design, people are tired of clutter! This spring, gardening consumers are looking for easy to navigate spaces (both in the garden and in your gardening store) full of simple lines and muted colors. As consumers become increasingly interested in the simple elegance garden trend, your business needs to do the same. 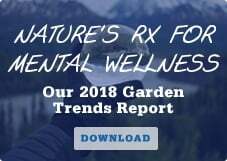 Learn how to use this garden trend to boost business by attracting new customers to your gardening business and keeping loyal customers as happy as can be. Media outlets, businesses, and advertisements continually duke it out for consumers' attention. And, there's a lot of competition out there. As a response, customers want to make their home and garden space as tranquil, elegant, and simply beautiful as possible. We only see this garden trend growing beyond 2014 -- especially since this decor trend is hot, hot, hot for urban and young dwellers. Loads of bold colors everywhere is overwhelming for modern gardeners. 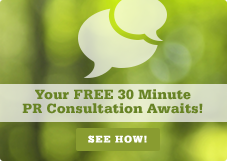 Instead, they're looking for simplicity in their own garden--and in your garden business. If your garden business doesn't already have a minimal (no more than 3) color palette to shape your digital and in-store displays, create one. Less is more as far as gardeners are concerned this season. Also, while gardens are often thought of as exploding with color, this year modern gardeners are opting for a more basic color scheme: black and white. This season, your garden business should sell black and white flowers, gardening tools and gardening products. You can market them as individual products, or couple them as a black and white combo pack to really wow. Also, black and white flowers in ready-made containers are a must. Keep it simple with garden design offerings this season. Consumers are now looking for a sharp, dramatic look. How can you help them get it? 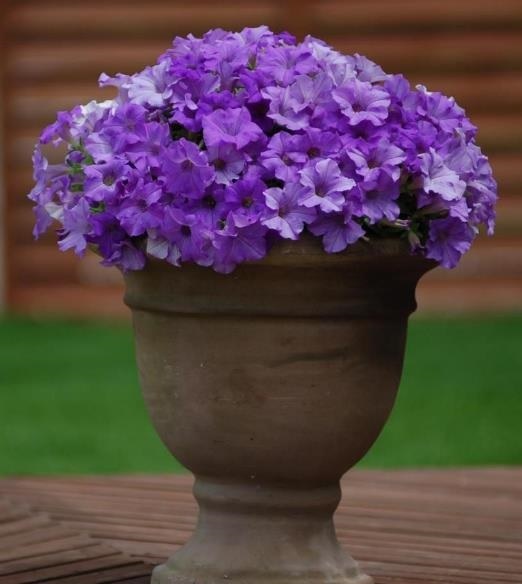 Showcase planters and containers with a single color flower variety. 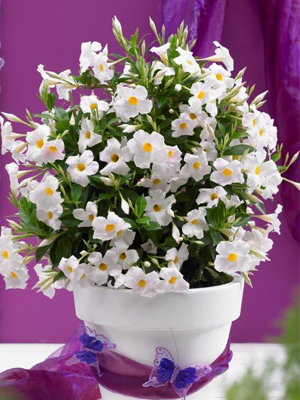 The Suntory® Collection of flowers gives consumers many opportunities to add that touch of classic elegance with a wealth of new varieties such as Surfinia Heavenly Blue petunias, Crackling Fire begonias and Sun Parasol mandevillas. Create a new Pinterest board or collection on your website with flowers of all kinds that work best (and make a statement!) all on their own. Consumers are always plugged into technology, which means that they're looking to create zen spaces that treat the Earth kindly. Sustainable seeds and heirloom plants are going to be top of mind for consumers this year, so make sure your gardening business' shelves (and online inventory) is well-stocked. The simple elegance trend is also going to make a big splash in the world of gardening containers. 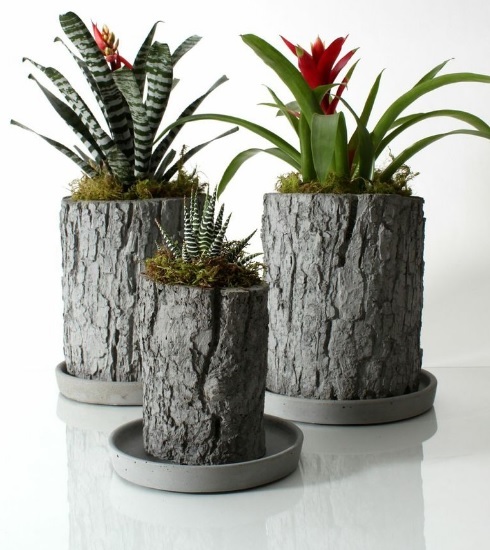 Consumers are craving sleek, handcrafted planters --like these from NativeCast. Segment and showcase your sustainable plants and containers to make it as easy as possible for consumers to find them. Learn More about 2014 Garden Trends by Downloading Garden Media's Whitepaper Below!